Tasmania may not be as popular a destination as Australia or New Zealand, but it’s a beautiful state worth visiting. Find out what to wear in Tasmania whichever time of year you head down under! Australia is a country that has everything to offer. From the Great Barrier Reef in the North to deserts in the middle. A part of Australia that is often forgotten? Tasmania! Even though the seventh state of Australia is one of the least explored areas, it is well worth a visit. Known for its wide-open landscapes, mountains, abundant wildlife, and unpredictable weather, Tasmania is an adult-size playground. While Sydney has its high-class style and Melbourne its hipsters, Tasmania has its own unique culture as Australia’s produce and outdoor state. With some of the country’s most beautiful hikes close-by, activewear is not frowned upon. Whether you’re going on a day hike or dropping in on one of the many vineyard cellars, choosing what to wear in Tasmania can be more practical than in the country’s hip cities. Here’s a guide on what to wear in Australia! The weather in Tasmania is unpredictable and cold compared to the rest of the country. This will be a determining factor for what to wear in Tasmania. Do as the locals do and opt for more practical outfits and leave the fancy dresses for Sydney. That doesn’t mean that there is no style in Tasmania. While practicality will always reign superior, the inhabitants of Tasmania boast their own kind of hipster. While Tasmania actually has seasons, unlike a big part of the rest of the country, the weather can change at the drop of a hat. Therefore, packing year-round will consist of the same basics that you will need to take regardless of the season. Snow in the height of summer? Not unusual for Tasmania! If you’re backpacking, here’s what to wear when backpacking Australia! This means that you have to be prepared for all weather conditions in all seasons. 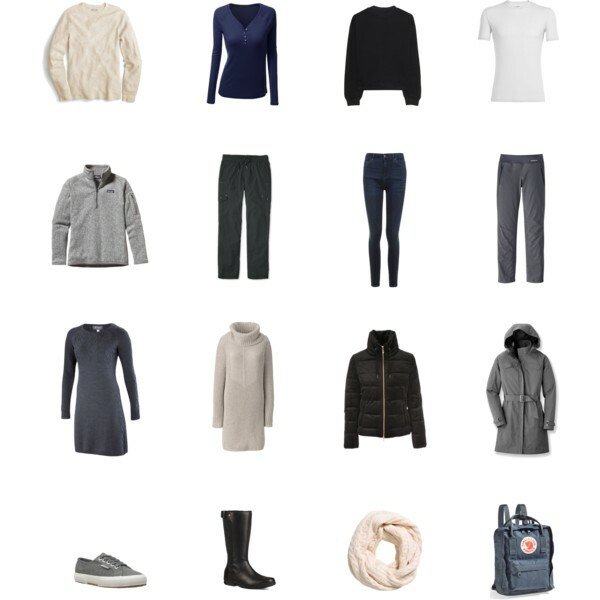 The key to packing well for a trip like this and for deciding what to wear in Tasmania is layering. Go for lightweight thermals with some basic garments and sturdy shoes. You should always consider the possibility of having one outfit wet and needing a second warm outfit. Packing only one pair of long trousers will simply not cut it. 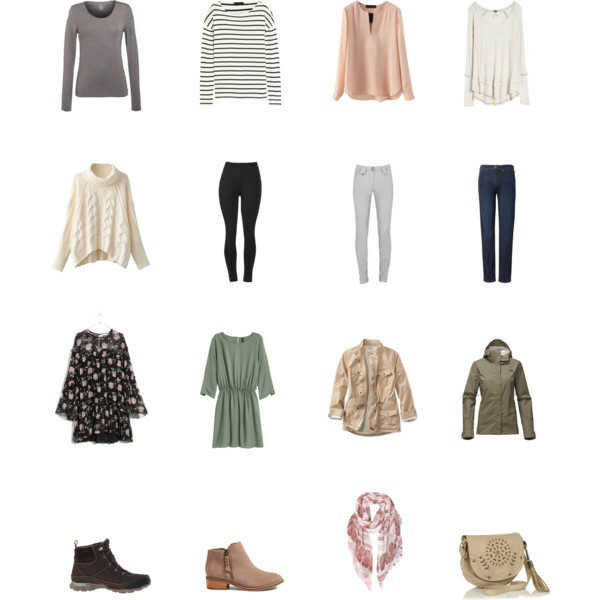 Thermals are the secret to packing light! Here are our top picks for thermal underwear! Out of all travel destinations in Australia, Tasmania’s climate is closest to Western European countries, but much more unpredictable. While you will still be able to enjoy some rays of sun during Fall, you can expect rain, sun, and cold winds in the same day. During the months of autumn, which is April and May, the temperatures will fluctuate between lows of 5 degrees to highs of 19 degrees. A wool hat, warm lumberjack shirt, thick winter coat, and big scarf seemed to be my uniform while visiting the state. It’s a uniform you can easily adapt and use in this beautiful part of the country, making it easy to decide what to wear in Tasmania. 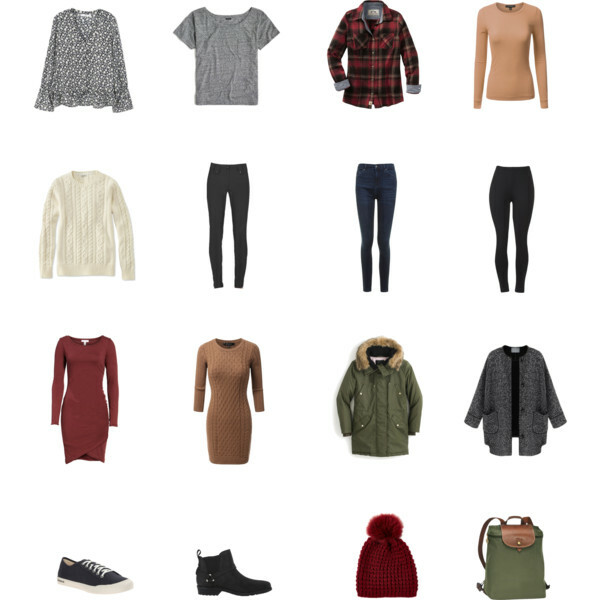 Plan to pack jeans, t-shirts, and a few sweaters to layer. A nice top or dress to wear for a night on the town is always a good idea. While hiking boots are great to bring to Tasmania, sneakers are also necessary for when heavy boots aren’t necessary or for when the former are too wet. Add a nice pair of boots or flats to your Tasmania packing list for a night out, leave your heels at home on this trip. If you’re planning to visit the state in the wintertime, expect snow, rain, and lots of wind. Winter, which starts in June and ends in August, is known for seeing plenty of snow, with lows reaching freezing temperatures and occasional sun with highs around 10 degrees. Taking several pairs of trousers in different fabrics is a great idea in the Tasmanian winter. Start with two pairs of jeans and two pairs of long comfortable hiking and lounging trousers. In this way, you can always dry one or two pairs and wear on of the others. When it comes to tops, choose between five and seven t-shirts and two long-sleeved shirts. When choosing what to wear in Tasmania, bulk up with two thick sweaters for warmth and a small fleece sweater for added layering. When choosing what to wear in Tasmania, make sure you don’t forget the basics with 10 pairs of underwear, two bra’s and seven pairs of warm socks. When it’s this cold, thermal everything is an awesome idea. Stock up on underwear, long trousers, long-sleeved tops, a short-sleeved top, and socks. Don’t forget a warm rain and windproof jacket. When it’s cold, wet, and windy, only a decent rain jacket will get you through. Make sure your jacket can handle the snow, as well. Consider adding a snow-proof pair of trousers. Don’t forget about the obvious: gloves, a wool hat, and a big scarf. Along with hiking boots, don’t forget sneakers for non-rainy days and rain boots for rainy days. Summer and spring are not the same in Tasmania as they are in the rest of the country. The spring leading up to summer will hold on to the winter cold for quite some time. You can also expect rain and wind to be there as spring’s wingman. Overall, expect temperatures between 10 and 20 degrees. Don’t be surprised if it’s still cold in spring, therefore you should still bring one or two thick sweaters for warmth and don’t take our all those thermals just yet. Adding a nice dress, a lighter jacket, and some complementary boots are great for what to wear in Tasmania during evenings out in Hobart or Launceston. Again, the basic underwear and socks are not to be forgotten. Rain and wind will always be present in the state, therefore a rain and windproof jacket and warm scarf is essential all throughout the year. Forget about umbrellas in Tasmania as the wind will not give it a long life. Adding to those nice little boots for evenings out, you will still need to have those hiking boots with you and the replacement sneakers. Find out how to choose hiking boots and the top styles TFG readers voted as their favorites! While summer kicks in around October in the Sydney area, Tasmania needs to wait until late December to see temperatures over 20 degrees. While summers tend to be mild and sunny, the weather can always change, introducing wind and rain. Overall, expect temperatures between 10 and 25 degrees. As the summer will be milder than winter and fall, one pair of jeans and one pair of long comfortable hiking and lounging trousers should suffice for when choosing what to wear in Tasmania. 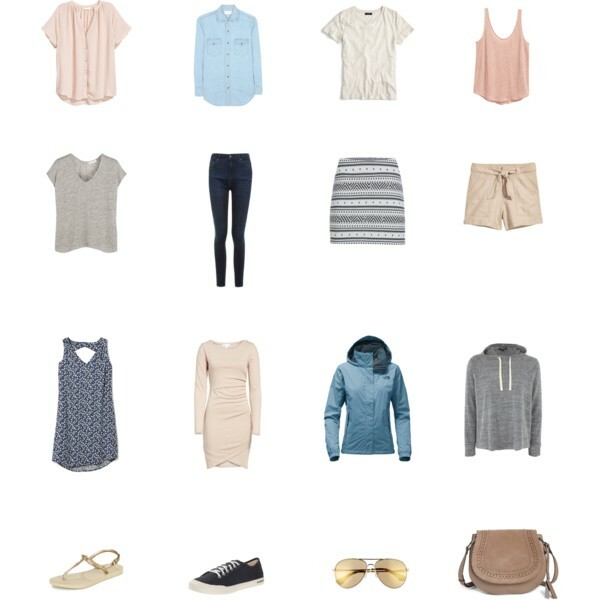 Add in two pairs of shorts or skirts for the sunnier days. When it comes to tops, a few t-shirts or tank tops and a long-sleeved shirt should be plenty for your trip. You may also want to bring a dress and flats for nights out. Along with flats, you will still need to have those hiking boots with you and the replacement sneakers. Add in a pair of flip flops, too. Australia is the flip-flop capital of the world, so I’m sure you’ll find a place you can wear them. Traveling to a hot weather destination? Take a look at the best flip-flops and sandals our readers rave about! While the seasons vary a lot in temperature, there are some items that you can use all-year round when choosing what to wear in Tasmania. Sunscreen and sunglasses are one of those items. Even when you’re visiting Tasmania in the winter time, the sun can be quite harsh. Always make sure that you are protected from these dangerous rays. An obvious addition to your Tasmania packing list in summer is a bikini, but then again, even in wintertime, I never leave the house without a swimsuit. There are a few more items to take to make your trip to Tasmania unforgettable. For hikes, a day pack will be a necessity through most of your trip. Being able to carry several kilos of water is so much nicer with a high-quality backpack. Don’t forget to take your camera to record all those wonderful moment and, while you’re at it, add all the necessary cables and accessories. Here’s a few examples of the best day packs for your next trip! 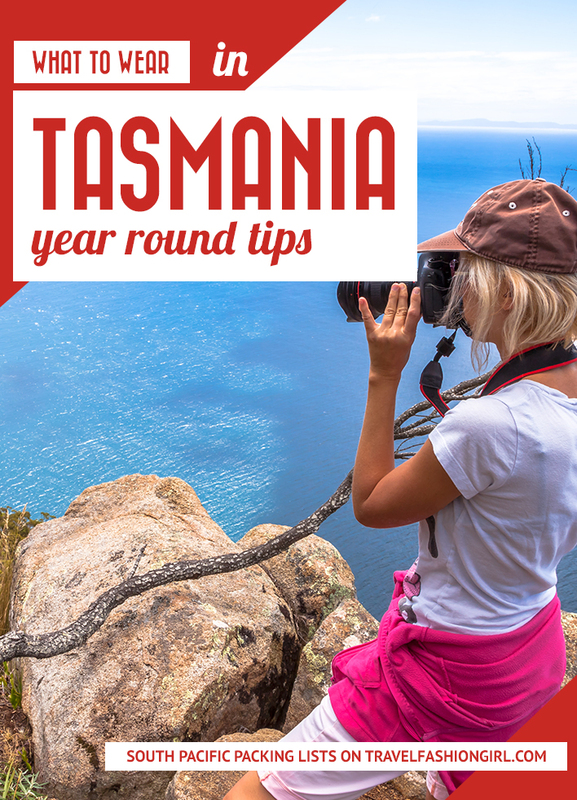 As Tasmania is the outdoors capital of the country, taking several pairs of nice high heels or fancy dresses will not be any good to you on this trip. When deciding what to wear in Tasmania, replace those items with some extra warm layers. You will be happy for it afterwards. Renting a car is the easiest way to get around Tasmania. There are a lot of backpackers visiting the state with tour buses or regional buses, but I would always prefer the freedom of a car. This is especially the case if you are planning to do several hikes. Just make sure you can make your way back to the car after a hike or organize someone to move the car for you. While Tasmania has countless hiking trails, a few of those are exceptionally beautiful. 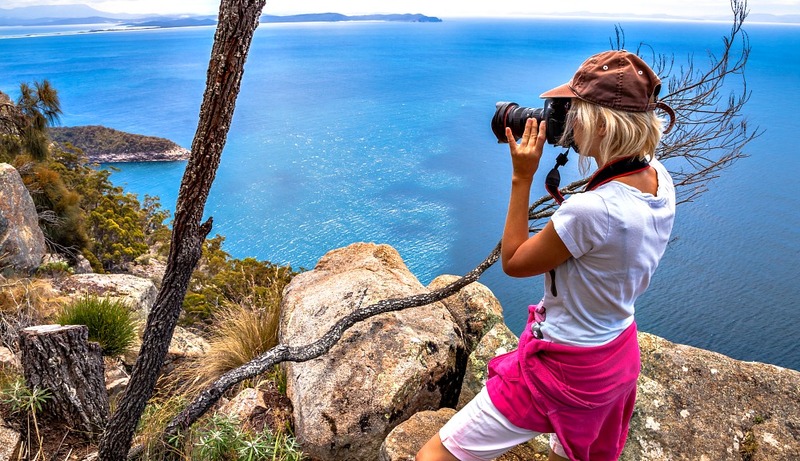 You can choose between the famous overland hike, the day tracks to the summit of cradle mountain, the half-day trek to see the view over Freycinet Bay or so many more. Hobart or Launceston are often the starting point for many adventures in the state. Start off here by visiting some hip coffee bars and enjoy the abundant food culture in the state. Food and drinks are a big deal in Tasmania. There are countless cheese makers, vineyards, whiskey distilleries, and oyster farms that need to be visited and tasted when you’re not enjoying overland hikes or spotting wildlife. Tasmania is a very safe state when it comes to personal safety in the cities. However, it gets more dangerous in the outdoors. Don’t forget to take all safety precautions when you’re going on any hike. Taking extra clothing, extra water, and an emergency or personal locator beacon are often a good idea. You can find those at Parks and Wildlife service stations or in one of the local stores close to the trails. What are you tips on what to wear in Tasmania? Please share in the comments! I hope you liked our post on what to wear in Tasmania. Please share with your friends on Facebook, Twitter, and Pinterest. Thanks for reading! What to pack for five night cruise from Sydney to Tasmania, visiting Tassie for only two days, in December 2019? Thanks so much for this! I love Tasmania – I could live there. I’m returning for a second time this August as a “side trip” from Brisbane. I’ll definitely need to take some of this into consideration.